Monica Solanki married Anand Khanwilkar with full knowledge of their families but woman's father, a Thakur man, was averse to the idea of his daughter’s marriage with a Maharashtrian Brahmin. 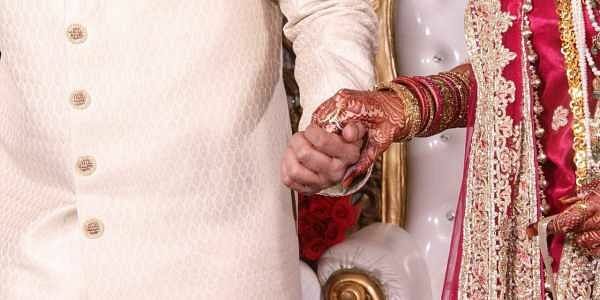 BHOPAL: Madhya Pradesh High Court on Tuesday directed the state police to provide protection to a newly -married couple who said they fear being killed for honour by the woman’s family. Monica Solanki, 19, and Anand Khanwilkar, 21, both residents of Gandhwani area in Dhar district, married with the full knowledge of their families, but the woman’s father Shankarlal Solanki, a powerful Thakur man, was against the marriage. Krishna Kunhare, the couple’s lawyer, said that the couple knew each other for three years and had fallen in love. Despite the father’s opposition, they got married at an Arya Samaj temple. When the father came to know about the marriage, he lodged a complaint at Gandhwani police station stating that his daughter was missing. Two days later, the couple submitted a written representation to Dhar superintendent of police (SP) stating the woman was of marriageable age and was not missing. The couple also alleged that they were being threatened by the woman’s father. Despite the written representation, no action was taken. Instead, the Gandhwani police station in-charge allegedly pressured the couple to come to the Gandhwani to record their statements. As a result, the couple hid in Indore. They even requested the Dhar police to get their statements recorded in Indore, but the Gandhwani police SI declined. They finally filed a petition on July 4 before the High Court alleging threats to their life from the woman’s father. When the petition came up for hearing, their counsels submitted that any couple of marriageable age had the right to marry out of caste. They also submitted that the Supreme Court had framed guidelines to protect couples from honour killing. Based on the submissions, a single-judge bench issued notices to the MP principal secretary (home), SP Dhar, Gandhwani police station in-charge and the girl’s father Shankarlal Solanki and sought their reply in three weeks, the couple’s counsel said. The HC further directed the Dhar SP to provide police protection to the couple.